In Thiruvallikkeni, festivities in the temple never stops……. 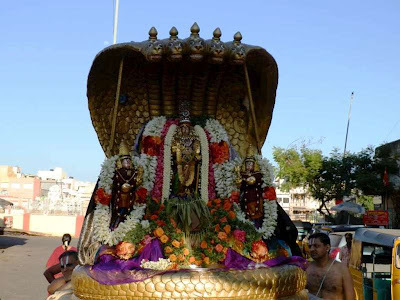 After the grand Theppothsavam [float festival]; it was Thavana Uthsavam and concurrently it was Pallava Uthsavam. 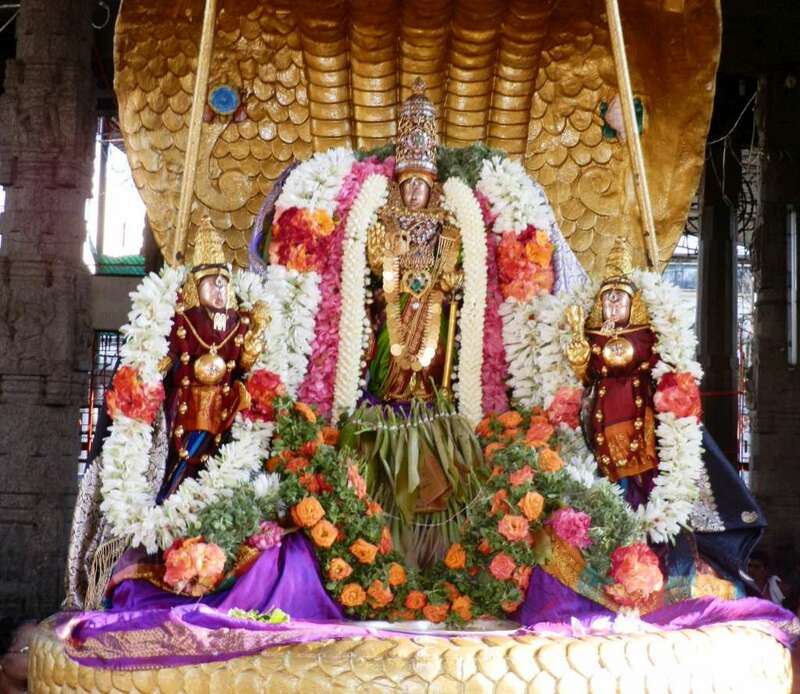 On Sunday 24th March 2013, it was 3rd day of Pallava Uthsvam and there was purappadu of Lord Ranganathar. 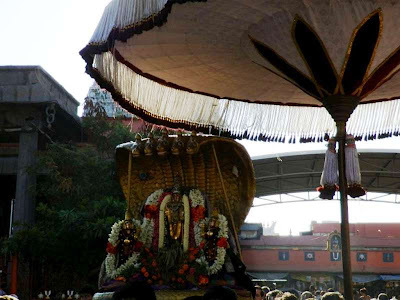 Thiruvallikkeni is part of Thondaimandalam.. associated with Pallava dynasty. The Pallava Kings ruled regions of northern Tamil Nadu and southern Andhra Pradesh between the 2nd and 9th centuries CE. The Pallavas gained prominence after the eclipse of the Satavahana dynasty. Of the many Kings, Mahendravarman I (600–630 CE) was very prominent and it was during regime, Pallavas fougth Chalukyas – Pulikesi – the Vengi wars. Mahendravarman was succeeded to the throne by his more famous son Narasimhavarman I. Narasimhavarman I fondly known as ‘maamallan’ fondly shared his father’s love of art and completed the work started by Mahendravarman in Mahabalipuram. Now don’t get carried away – ‘Pallava Uthsavam’ is not associated with Pallavas or any other rulers for that matter. 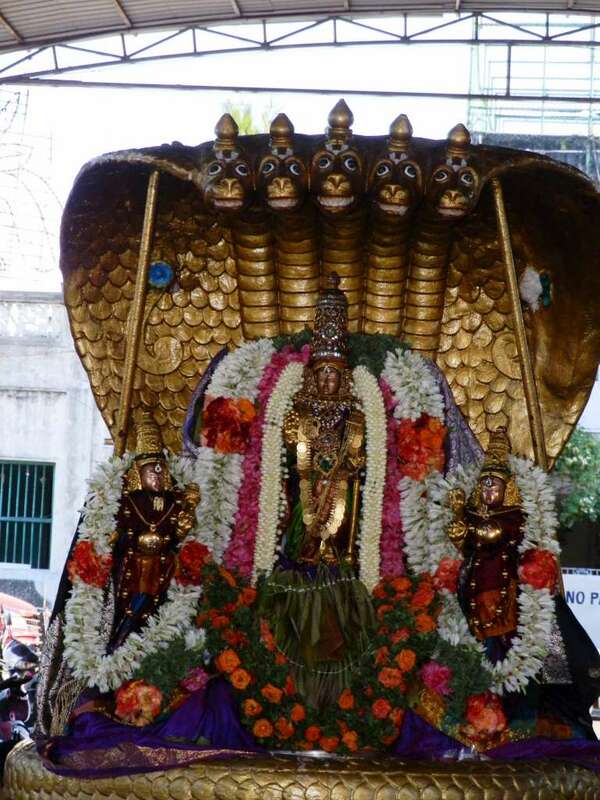 One odd reference to Pallavam is found in Kaliyan’s Thirumozhi : “பல்லவந்திகழ் பூங்கடம் பேறியக்காளியன் பணவரங்கில்,” which mentions of the tender leaves of Kadamba tree. Here are some photos taken during the Pallava Uthsava Day 3 purappadu on 24th Mar 2013. 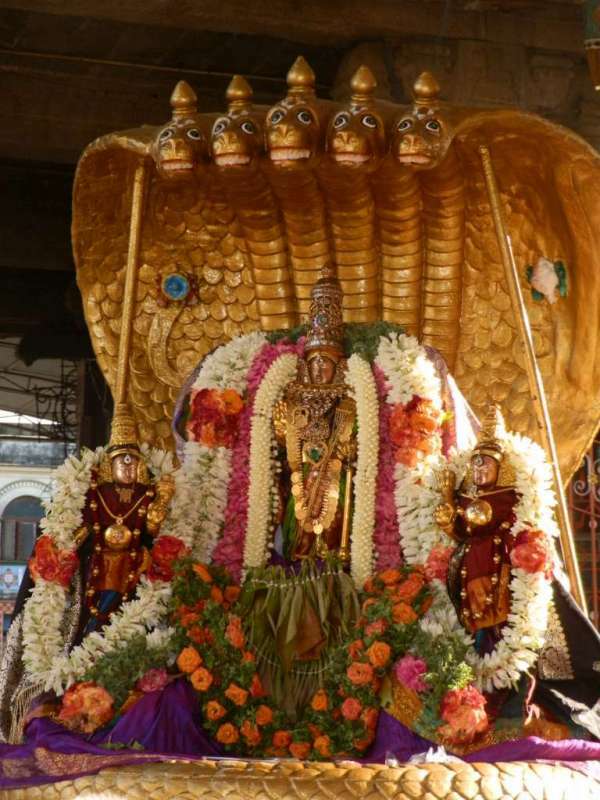 One can observe the just born foliage of Mango leaves in the lotus feet of Lord Ranganathar.